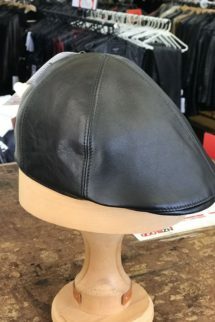 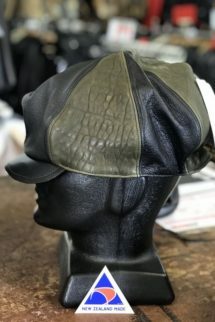 Caps and hats in cow or lamb leather. 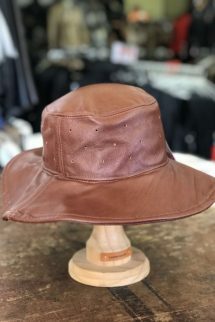 Available in all colours and sizes. 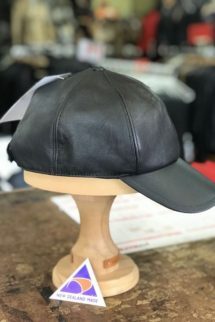 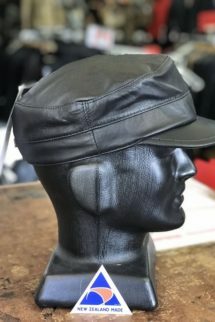 Sample available in cow leather. 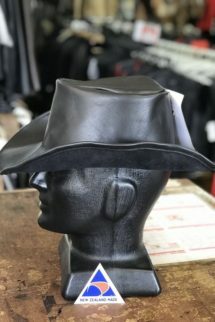 Can be made in all sizes and colours with additional costs to suit. 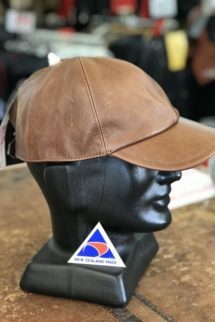 Sample available in brown size L.
Eric style cap in lamb leather. 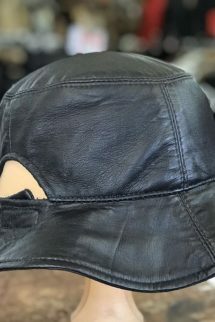 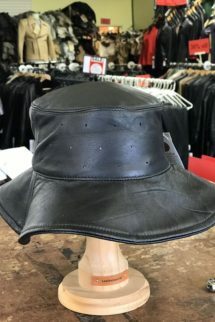 Perforated round sun hat in soft cow leather. 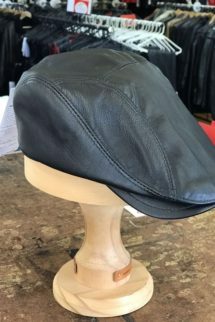 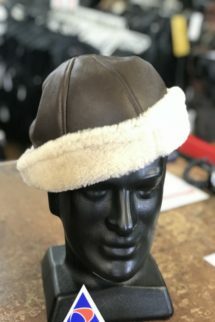 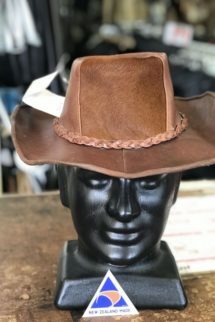 Vancouver style hat in black or dark brown sheepskin.